If you are thinking about renting a dumpster in metro Atlanta, Georgia, the rental fee may not be the only fee you are responsible for. 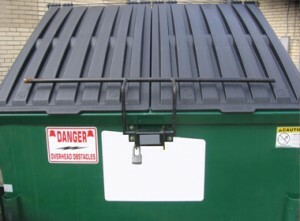 Not included in the cost of dumpster rental are additional fees like charges for excess weight or delivery. You also are limited by what a dumpster service will accept. Hazardous items like paint, batteries, tires and household chemicals are prohibited. You are also left to fill and load the dumpster yourself risking personal injury. Want to save your self the hidden costs and hastle? Call Mr. Junk at 678-Mr-Junk1 or schedule a pickup online. We can be there same day and at a time that’s convenient for you. How easy was that?